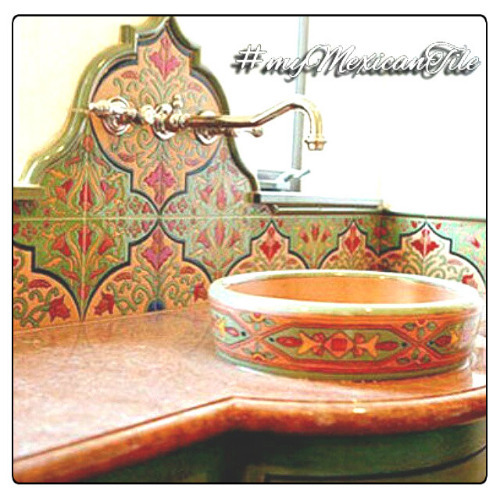 Relief tile with "Constanza" design for decorating Mexican style kitchen backsplash, bath wall and stairs. Artisan produced with gray, bottle green and lemon yellow color over white. 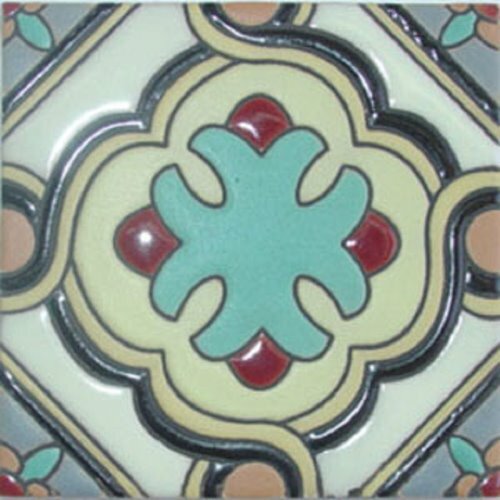 Production of ceramic relief tiles including free delivery from Mexico to the US estimated for four weeks. Excellent model , the combination of colors is perfect, now my stairs have a unique style , since i installed them on the front of each step, look wonderful, thanks.